A company has more shares outstanding after it splits its stock. 3. Is a Reverse Stock Split Good or Bad? When a company splits its stock, it increases the number of shares that existing investors own, which reduces its stock price by a proportionate amount. The transaction has no effect on the value of the company or investors’ holdings. It just slices the same pie into smaller pieces. Nevertheless, investors often welcome the news of a stock split. It generally draws positive attention to the stock, and the lower share price can potentially attract new investors. You can find stocks that will split using a stock splits calendar, which lists upcoming splits and their relevant details. A reverse stock split occurs when a company reduces the number of shares investors own. In a reverse split, the first number in the split ratio is smaller than the second. Visit any financial website that provides a stock splits calendar, such as Yahoo Finance, Nasdaq or MSN Money. Click the text box at the top of the page that allows you to search within the website. Type “Stock Splits” and click “Search.”Click “Stock Splits Calendar” or “Upcoming Stock Splits” on the search results page to view a list of stocks that will split in the near future. Find a stock on the list and identify its split ratio in the “Ratio” column. This ratio might be 2-for-1, 3-for-2 or any other combination. The first number represents the multiple of shares you will own after the split for every multiple of shares you own equal to the second number before the split. For example, in a 2-for-1 split, you will own two shares after the split for every one share you own before the split. If you buy 1,000 shares before the split, you will own 2,000 after the split. In a 1-for-3 reverse split, you would own one share after the split for every three shares you owned before the split. A $1 stock price before the split would become $3 after the split. Find the date in the “Announced” column. This is the date the company issued a formal announcement about the upcoming split. In this example, if the announcement date was “May 1,” the company issued details about the split on that date. Identify the date in the “Payable Date” column. A company distributes the additional shares for the split on this date. In this example, if the payable date is June 1, the company would complete the split on that date. Identify the date in the “Ex Date” column. This date occurs on the first trading day after the payable date. The stock’s price adjusts to reflect the split on the ex date. Concluding the example, assume the ex date is June 2. Because twice as many shares are outstanding as were outstanding before, the stock price would halve. If the price is $20 on June 1, it falls to $10 on June 2. An upcoming split doesn’t necessarily make a stock a good investment. Always check a company’s financial information before investing. A reverse stock split occurs when a company reduces the shares investors own. In a reverse split, the first number in the split ratio is smaller than the second. For example, in a 1-for-3 reverse split, you would own one share after the split for every three shares you owned before the split. A $1 stock price before the split would become $3 after the split. What Are Free Stock Shares? 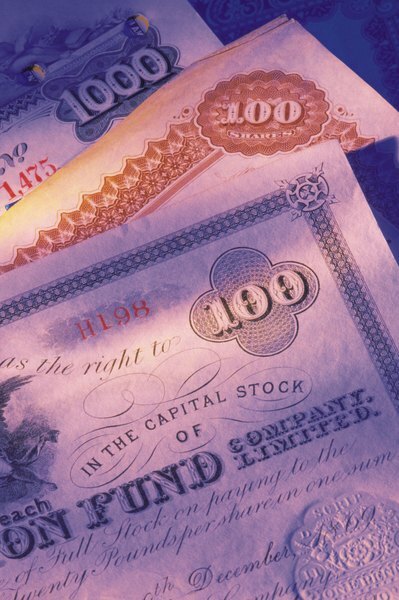 What Happens When a Stock Split Is Issued to Stockholders?